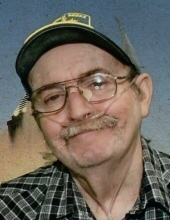 Celebrating the life of Joseph E. Lagacy, Jr.
Obituary for Joseph E. Lagacy, Jr.
Joseph E. Lagacy, Jr., 69, of St. Anne, IL, died on Wednesday, November 28, 2018, at the Presence St. Mary’s Hospital in Kankakee, IL. He was born on October 29, 1949, in Kankakee, IL, the son of Joseph E. and Rita Raiche Lagacy, Sr. He married Valerie L. Schaafsma on December 4, 1970, in Momence, IL. She survives. He is survived by two sons and daughter-in-law; Joseph E. and Tracy Lagacy of Pontiac, IL, and Rick Lagacy of Bourbonnais, IL. One daughter; Vickie Lagacy of Pembroke, IL. Two brothers; Merle Lagacy of Momence, IL, and Greg Lagacy of Momence, IL. One sister and brother-in-law; Michelle and Mark Wegner of Davenport, FL. Also surviving are six grandchildren and four great grandchildren. He is preceded in death by his parents. He retired after being employed for 43 years as a machine maintenance technician from Cleveland Steel Containers in Peotone, IL. He was a member of the St. Anne Catholic Church of St. Anne, IL. He enjoyed going to flea markets and watching NASCAR races. To send flowers or a remembrance gift to the family of Joseph E. Lagacy, Jr., please visit our Tribute Store. Father James Fanale will officiate. 9220 E. 4000 S. Rd. "Email Address" would like to share the life celebration of Joseph E. Lagacy, Jr.. Click on the "link" to go to share a favorite memory or leave a condolence message for the family.